The legendary Carol Lloyd (Railroad Gin) has opened up her treasure trove (2 whole storage units!) full of memories, and is in search of new homes for her very special collectibles. 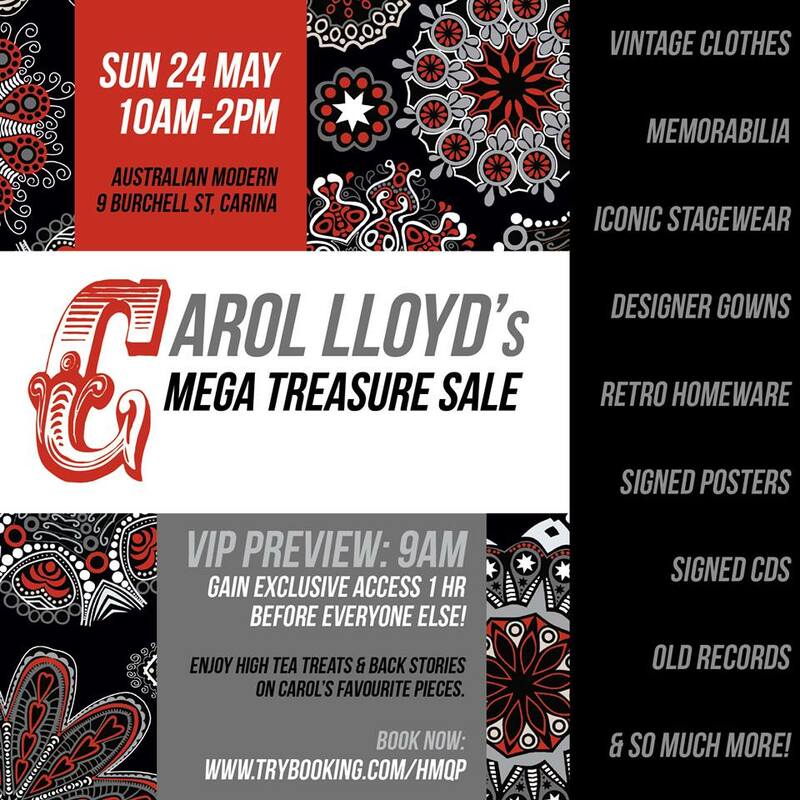 You won’t believe what’s up for grabs: Vintage clothes, band memorabilia, iconic stage wear, designer gowns, retro homeware, hard-to-find CDs/records and so much more. Want first dibs on Carol’s amazing stock? Register for the VIP Preview and get EXCLUSIVE access 1 hour before everyone else!